Ever watch a frog get boiled? Neither have I, but the story goes that if you put a live frog in boiling water, it jumps out. Now, if you put it in water at room temperature and turn up the heat, the frog boils to death. Well, that is how I feel about mail. Business communications and commerce have been dependent, and still are, on the United States Postal Service (USPS), despite the rise of email, e-billing, and portals. In the face of declining mail volumes and increasing delivery points, the USPS does a remarkable job controlling expenses, but there is a cost. The cost is performance. 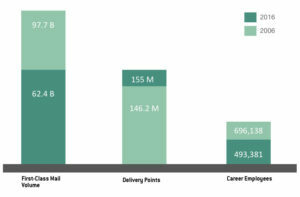 The consolidation of mail processing plants and fewer USPS employees have led to a decline in delivery performance. This decline in performance has a ripple effect beyond the inconvenience of late delivery. Recently, I received a statement for a lease payment, which took 12 days from the statement date until I received it. I also received a check, which took a week to get from Wisconsin to Connecticut. Hopefully, these are outliers, but I fear that this will happen more and more as the USPS struggles to contain costs. When someone says, “The check is in the mail,” we roll our eyes, politely bite our tongue, and wait a little longer for the check to arrive. More and more, the reality is that this might actually be true. As postal delivery delays mount, more checks really will be “stuck” in the mail stream. 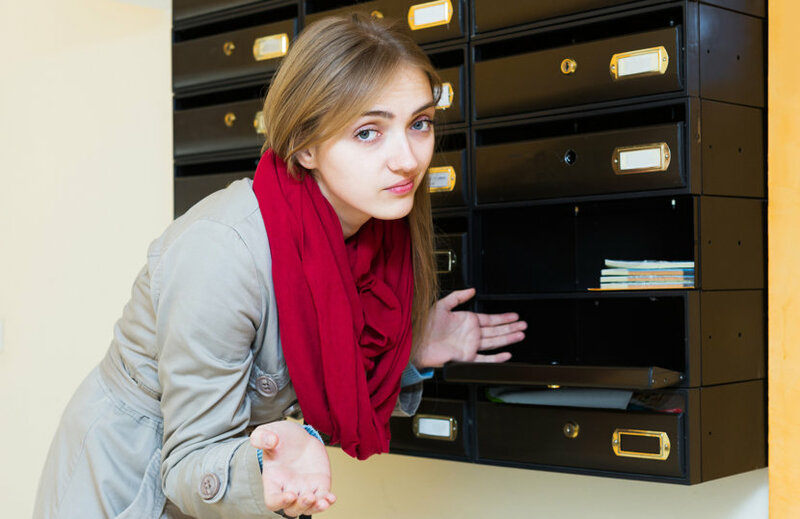 The hidden costs of delayed mail have tangible and intangible consequences: late payment penalties, unnecessary phone calls, extra follow-up communications, customer dissatisfaction, cash flow, etc. The cash flow impact on delayed statements and checks depends on who you are. Whether you are the biller or the payee, when you manage cash, you need to be in control of the variables. Counting on the mail to be delivered in one to three days is critical. A reliable mechanism for delivering the message (whether it’s statements, invoices, policies, etc.) or getting paid is critical for an efficient economy. This is one reason I like e-delivery and e-billing for B2B and B2C consumer communications. E-delivery and e-billing are reliable, trackable, and actionable. Delivery takes place in a matter of hours, not days, non-deliverables are identified within hours, not weeks, and payments can be received efficiently and with lower processing costs. Businesses save money and provide a better customer communications product when they deliver mail electronically. So please, Mr. Postman, let’s not slowly boil the frog. Stay relevant by delivering mail within your own delivery standards, or expect mail volume declines to accelerate as e-delivery and e-billing become more and more user-friendly and convenient.